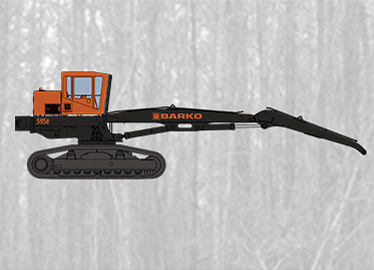 Featuring heavy-duty guarded crawler tracks that provide high tractive effort, Barko’s tracked loaders provide the maneuverability to go almost anywhere on the job. Built with power and dependability in mind, the loaders deliver consistent performance for the long haul. The 495B-CRL tracked loader is powered by a fuel-efficient Tier 4 diesel engine. 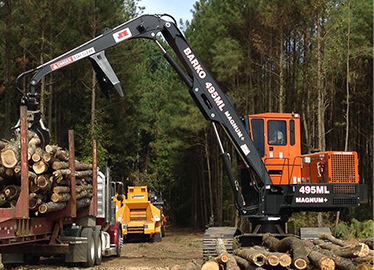 Pilot operated controls contribute to intuitive operation and superior productivity for any logging operation. 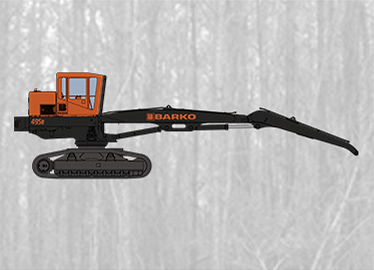 The Barko 495ML-CRL tracked loader provides 32 feet (almost 10 meters) of horizontal reach. The unit is durably built to perform harder and last longer. 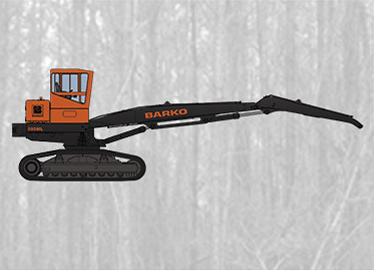 The Barko 595ML-CRL tracked loader provides 32 feet (almost 10 meters) of horizontal reach. This powerful machine operates at a high level of efficiency and productivity.